Our team travels the world to make sure they can recommend the perfect holiday for you. Holiday Lounge is a privately owned independent Travel Agent and a member of the Co-op Consortium which is part of The Midcounties Co-operative Ltd.
Because of our special relationships with tour operators and cruise companies and combined with our knowledge and ability to arrange individual tailor made itineraries, our customers are able to benefit from the widest choice of holidays at very competitive prices. Your holiday is as important to us, as it is to you and therefore our experienced and well travelled staff ensure that every one of our customers receive impartial advice and a high level of personal service, which has been one of the prime reasons of our success since we opened in 2004. Paul started his career in travel working for a small independent travel agency in Hinckley in 1987 which he went on to manage on behalf of the owner. Paul then worked for both Thomas Cook and Tomorrows World Travel where he became Sales Manager for the Group. After having a year out working for a Hotel in the resort of Paphos in Cyprus during which time he built up numerous contacts on the island, he returned to the UK determined to own his own Travel Agency. In June 2004 Paul opened Holiday Lounge and due to his drive and commitment it has grown to the Company it is today being one of the most respected independent travel agents in the Midlands. As well as Australia and the Far East his other favourite destinations are the Garden Route in South Africa and the Seychelles. Being a respected member of the business community Paul became President of Hinckley Rotary Club in 2013. Gemma joined Holiday Lounge in 2009 and is a keen skier having first hit the slopes when she was only 7 years old and since then has skied throughout Europe. She has toured China which she found fascinating, the highlight being actually walking the Great Wall. She has also recently become a convert to cruising having been on cruises with P&O, Royal Caribbean and Princess. After starting in travel in 1999, she joined Holiday Lounge in Hinckley in 2004 and she was then appointed Manager of the Lutterworth Shop when it opened in January 2008. Emma has travelled extensively, but the two holidays that stand out are visiting Game Reserves on Safari in Kenya, as well as her honeymoon in Malaysia and Borneo which included a visit to see the Orangutans. She also loves New York, having visited it twice including sailing back transatlantic on the Queen Mary 2. Emma returned from maternity leave in 2013 and now works on a part time basis at Hinckley. Holiday Lounge Director Has worked in travel since 1971 and as well as holding other senior positions in the travel industry he was previously Managing Director of Tomorrows World Travel. George has visited the majority of the Caribbean islands including organizing cricket tours, although a Cruise is now his favorite choice of holiday. Jess joined Holiday Lounge in 2014 as a modern apprentice and has recently completed her NVQ Level 3 in Travel and Tourism. Before joining Holiday Lounge, Jess worked abroad for 6 months in Majorca as a children’s rep for TUI and First Choice, which gave her an good insight into a career in Travel. Jess has travelled to many European destinations including Spain, Greece, Italy and Cyprus as well as the USA, Mauritius and the Caribbean and has also sailed on board Celebrity and Royal Caribbean Cruises. Jess has recently returned from Maternity leave after giving birth to a little boy and is now working at the Hinckley shop on a part time basis. Before joining Holiday Lounge, Sophie worked for Thomas Cook and Specialist Cruise Operator. Sophie has travelled to many European destinations including Spain, Greece and Italy as well as Egypt and the Caribbean and has also sailed on a Royal Caribbean Cruise. She has a passion for travel and her favourite holiday destination is Riviera Maya in Mexico from where she visited the ancient Maya City of Chichen Itza. After joining Holiday Lounge in December 2018, Leanne became the newest addition to the team at Hinckley. Having completed a course in Aviation and gaining a Diploma in Travel & Tourism at college, Leanne had previously worked for Swissport at East Midlands Airport as a passenger service agent and as a travel consultant at Thomas Cook. Amongst the many countries that she has visited, Thailand is her favourite destination having travelled extensively throughout the country visiting Bangkok, Koh Phangan, Koh Samui and staying in a floating bungalow in the Koh Sok National Park. Other memorable holidays include Mexico and Dubai as well as City breaks to Barcelona & Rome. Gordon has been in travel since 1971 and as a result has travelled extensively both on business and for pleasure over the years. During his career he worked for a specialist tour operator to the Far East which involved regular visits to Malaysia including the Orangutan sanctuary in Borneo. Gordon has arranged numerous overseas weddings during his career, including his own daughters wedding on the World Yacht on the Hudson River in New York. Zoe has been in travel since 1987, joining a German Tour Operator Moswin Tours straight from school, since then she has worked as a travel agent since 1990 joining Holiday Lounge in 2008. Zoe thrives on the challenge of arranging bespoke Worldwide tailor made holidays and also has a passion for skiing holidays. Over the years Zoe has visited a wide range of destinations including Mauritius, Canada, America and the Caribbean including some of the smaller less commercialized islands including Virgin Gorda, Nevis and St Maarten. Paul started in travel in 1994 and spent a year in Australia during which time he lived in Perth and visited most of the major cities as well as the Kakadu National Park and Ayers Rock. Because of his experience Paul has been our Aussie Specialist since joining Holiday Lounge in 2009. A keen sportsman, Paul arranges his own cricket club’s regular pre-season tour to Barbados. As well as visits to Florida, Los Angeles and Las Vegas his recent memorable travel experiences include afternoon tea at the Burj Khalifa in Dubai and Bear watching in British Columbia. Although she is the most recent addition to the team at Lutterworth, Jackie has been a Travel consultant based in Lutterworth for over 10 years and is experienced in arranging all aspects of travel from short stay City breaks to Tailor-made long haul holidays and tours. Before moving to Lutterworth she worked as a Travel consultant in the South of England. Jackie has also spent time living in South Africa and America with her young family, so she has first hand knowledge of traveling with children. Her passion for travel has provided her with many exciting destinations and experiences, such as a Safari holiday in South Africa, a journey on the iconic Rocky Mountaineer combined with a stay in the beautiful city of Vancouver as well as holidays in Cuba and Jamaica and her favourite cities are New York and Porto. Jane has a wealth of experience in various travel sectors since starting in the industry in 1986, as well as retail travel, she has also worked in business travel, tour operation and the airline industry. Jane also used her travel knowledge by working for a number of years training and assessing the next generation in travel consultants. Jane has always enjoyed travelling whether having a short break in the UK to a six star cruising experience on a Seabourn Cruise. Jane’s speciality however is the USA, where Florida and Orlando in particular is like a second home to her. Her other passion is the Performing Arts and she has recently helped book a group of over 100 from a Dance Academy to perform on a cruise ship. Having lived in Burbage all her life she enjoys working in her local village, welcoming familiar and new faces into the office and being able to share her wealth of knowledge with them. Kayleigh started out in travel working for Thomas Cook back in 2007 since then has also worked at BTG (Bowens Travel Group) and joined the Holiday Lounge in 2014. Kayleigh has travelled to many European destinations her favourite places being Turkey for the sun, culture and beauty of the country and for more of an action packed holiday she loves reliving her childhood at Disneyland Paris mixing with Tigger, Eeyore and many other loveable characters. She has also visited New York, Disney World Florida and Barbados; more recently travelled to Dubai and Ras El Khaimah which she enjoyed seeing Palm Island, Jumeirah Beach, the amazing Burj Khalifa and its musical fountains and Dubai’s fantastic shopping malls. Kayleigh also enjoys cruising, her first cruise she ever went on was the Ocean Village but since then she has also enjoyed cruising on P&O’s Ventura and Oceana, she as has recently visited Celebrity Eclipse and Royal Caribbean’s Explorer of the Seas. My name is Vicky, I am a personal holiday planner working for Holiday Lounge looking after the travel requirements of clients in the North West of England. I have worked in the travel industry for over 20 years and pride myself on offering professional, friendly and excellent customer service. Whatever your travel requirements may be, I am able to help plan the right holiday for you! I have visited many wonderful places over the years including the Canary Islands, Spain and the Balearics, Italy, Cyprus, Greece, the Caribbean, America, Dubai and the Far East. Having two children also means I have become an expert on family holidays. As well as family sun holidays, I can enlighten you about the magic of Disney World, our once in a life time trip to Lapland and the many fantastic cruising holidays I have also been on. Experiencing these places first hand has given me a knowledge that you simply cannot get from booking online. As I’ve been in the travel industry for many years I can help with any travel enquiry that you may have, offering you honest and impartial advice. 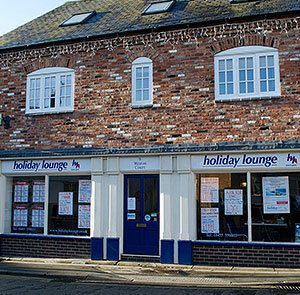 Holiday Lounge is the trading name of the Midcounties Co-operative Ltd and are retail agents acting in the sale of travel products and unless specified is the agent of the operator concerned. The Midcounties Co-operative Ltd trading as Holiday Lounge is a member of ABTA which means that you have the benefit of ABTA’s assistance and Code of Conduct. ABTA’s rules applies to services supplied by The Midcounties Co-operative Ltd T/A Holiday Lounge but does not apply to services featured on this website that are provided by any company that is not a member of ABTA. Many of the travel arrangements that we sell are protected in case of financial failure of the travel company. Please ask us about the protection that applies to your booking. We are members of ABTA (ABTA No. P6626) and we hold an ATOL Licence (6053) and operate as a member of The Midcounties Co-operative Limited. We will provide holidays services where we may act as your Tour Operator or your Travel Agent. This will be made clear to you before booking. When we act as Tour Operator your holiday will be booked using our ATOL licence and your Tour Operator will be Midcounties Co-operative Ltd trading as Holiday Lounge. When we act as your agent your contract will be with the Tour Operator, and their financial protection (if any) applies, the Tour Operator terms will be applicable , these will be provided prior to booking. Either way, all air inclusive packages are protected by the ATOL scheme of either our business or the Tour Operators. Payment: We accept payment by cash, cheque, debit and credit cards with the exception of American Express. All products contained within this website are subject to availability. View a selection of our late deals here. View a selection of our Expert Advice here. Testimonials. 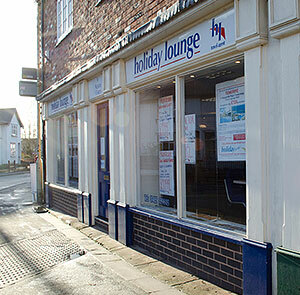 Holiday Lounge when selling travel arrangements is a trading name of The Midcounties Co-operative Ltd.
Holiday Lounge is an Accredited Body Member of Midcounties Co-operative Travel Consortium. (ABTA P6626, ATOL 6053).